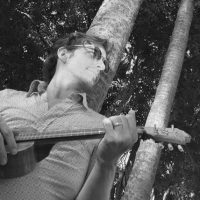 Thom Jackson has played at a myriad of festivals both in Australia and around the globe. He has set up ukulele programs in hundreds of schools all over the world and taught tens of thousands of people to play (including a former prime minister). Having taught and toured for over 10 years Thom brings a wealth of experience and talent to the lessons and has a knack for getting the absolute best out of his students. Thom Jackson currently has lesson slots available on Tuesdays at High Street Music Preston. Our music lessons service Melbourne’s northern suburbs including Preston, Ivanhoe, Heidelberg, Reservoir, Thornbury, Northcote, Bundoora, Coburg, Bellfield, Kingsbury, Fawkner, Thomastown and Lalor.